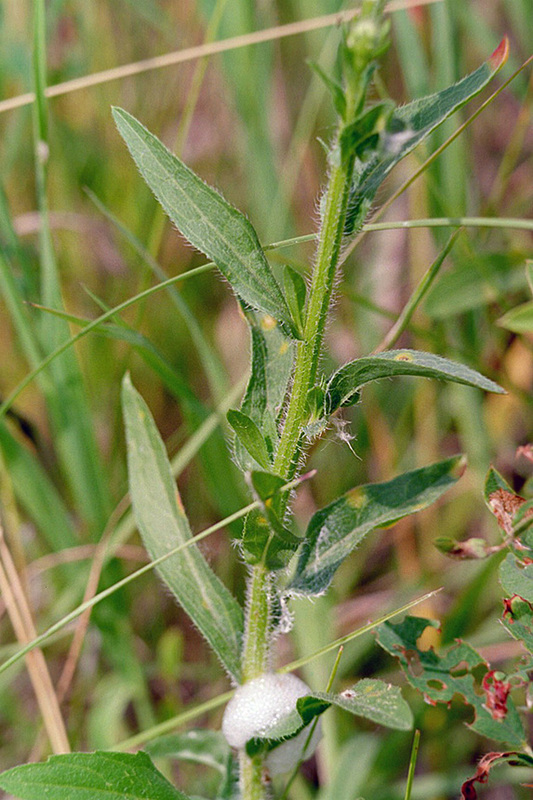 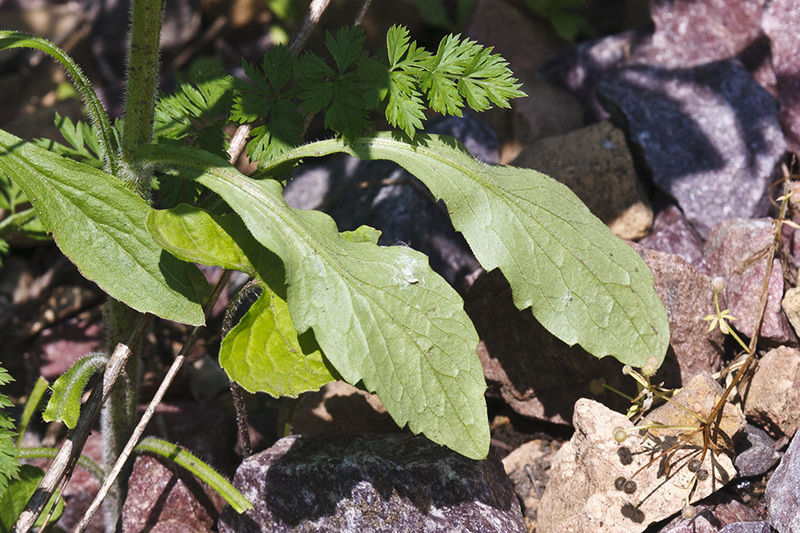 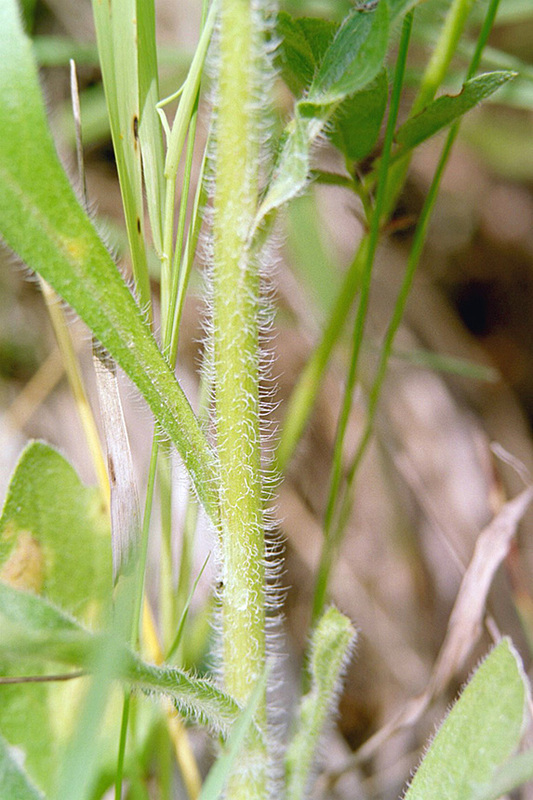 The stems are very leafy and have long, spreading hairs on the lower, middle, and upper portions. 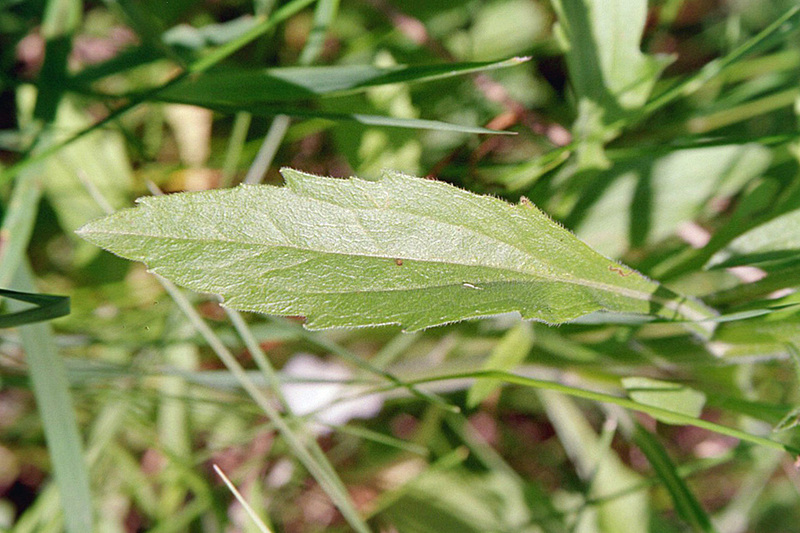 Stem leaves broadly lance-shaped. 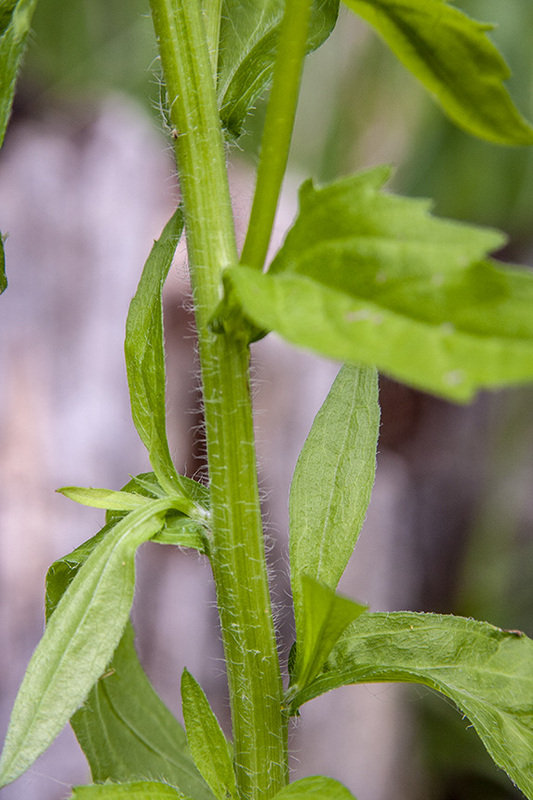 The leaf blades are not clasping. 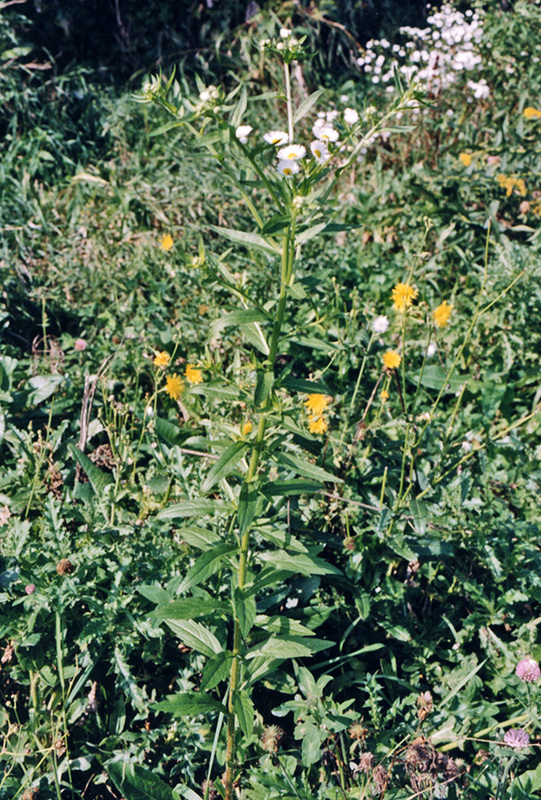 The margins are usually sharply toothed. 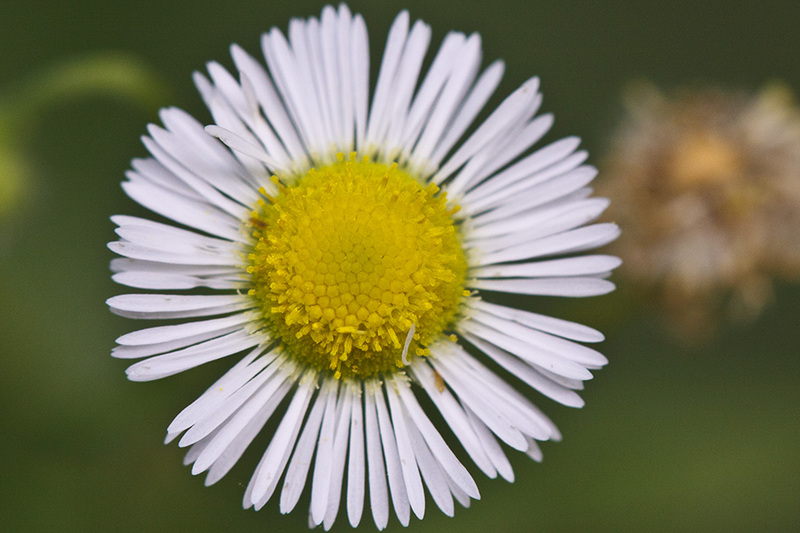 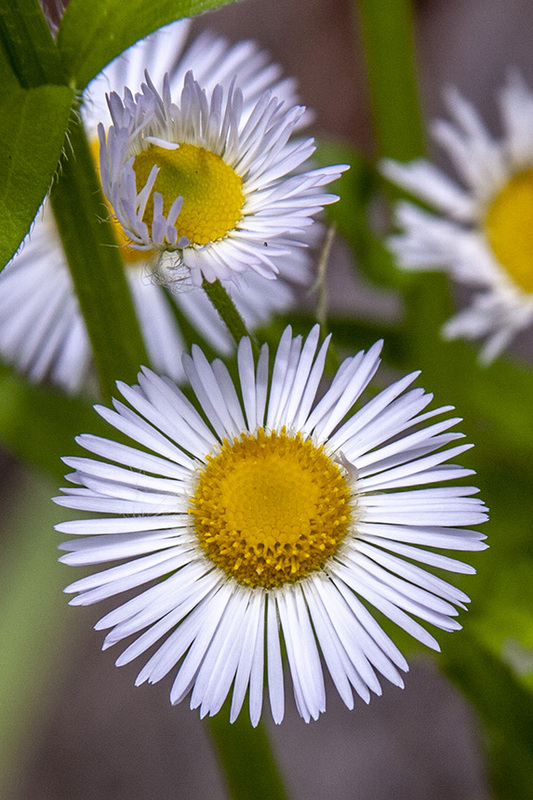 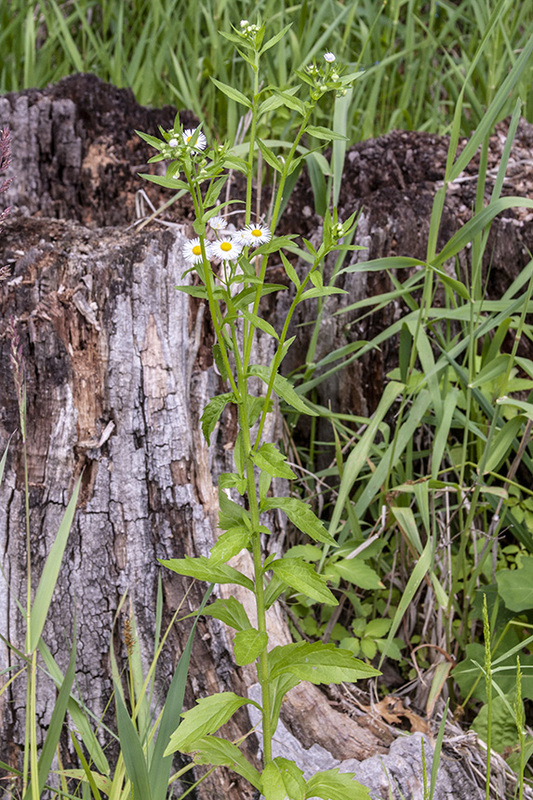 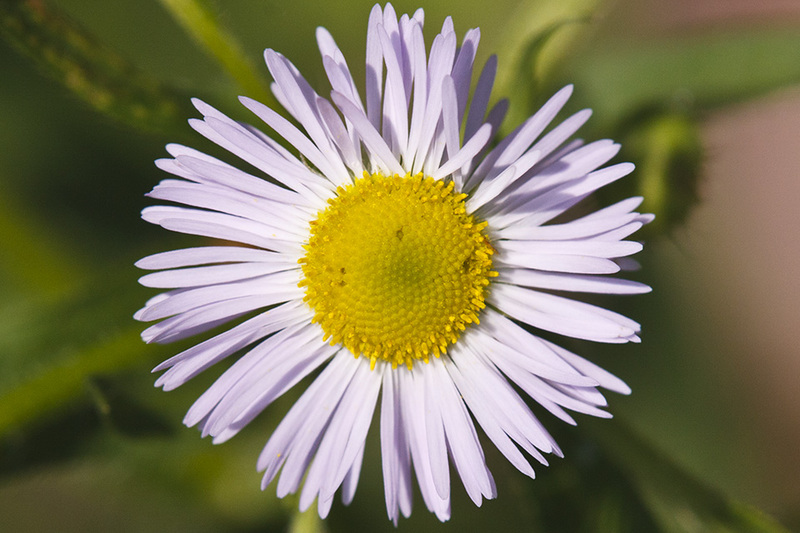 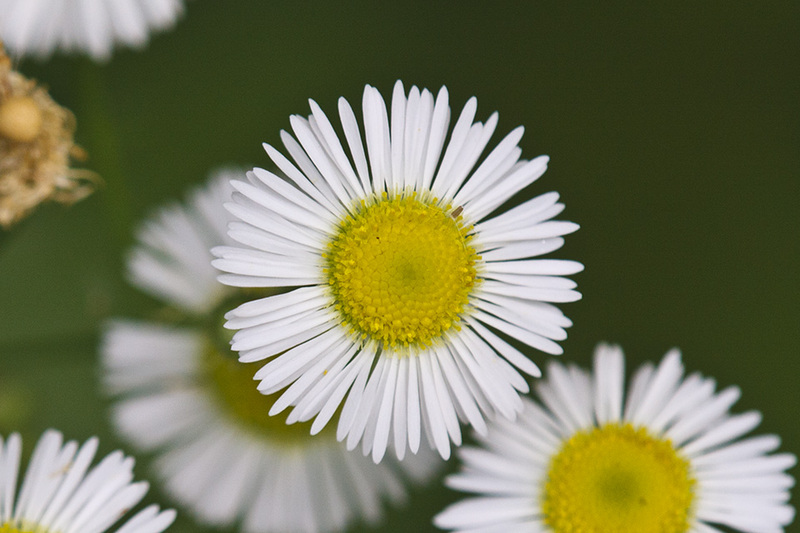 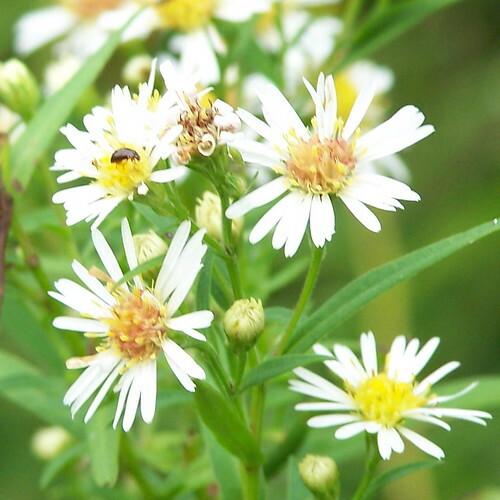 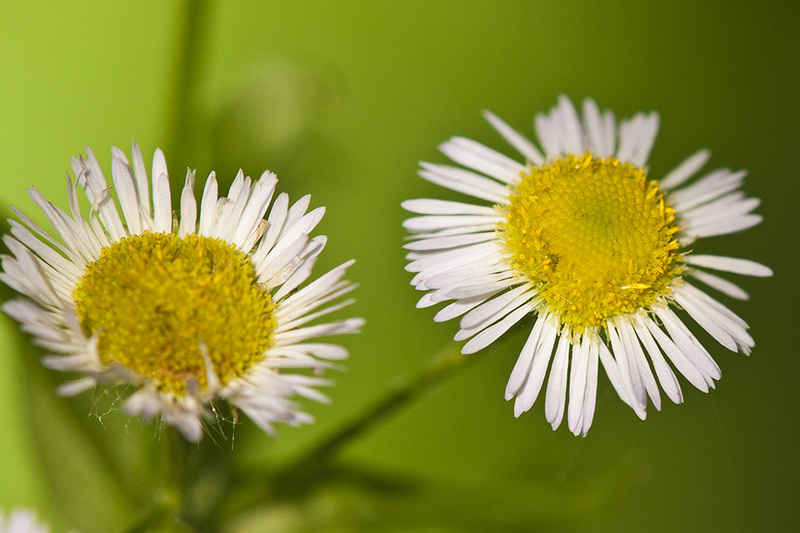 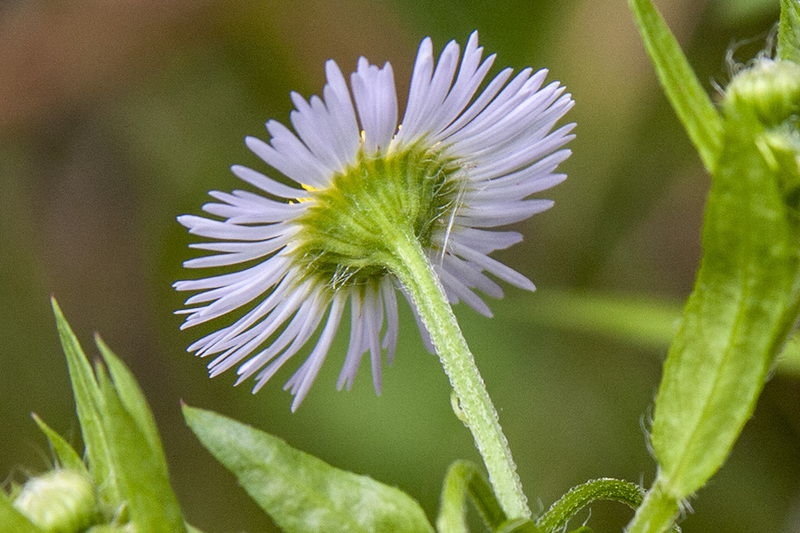 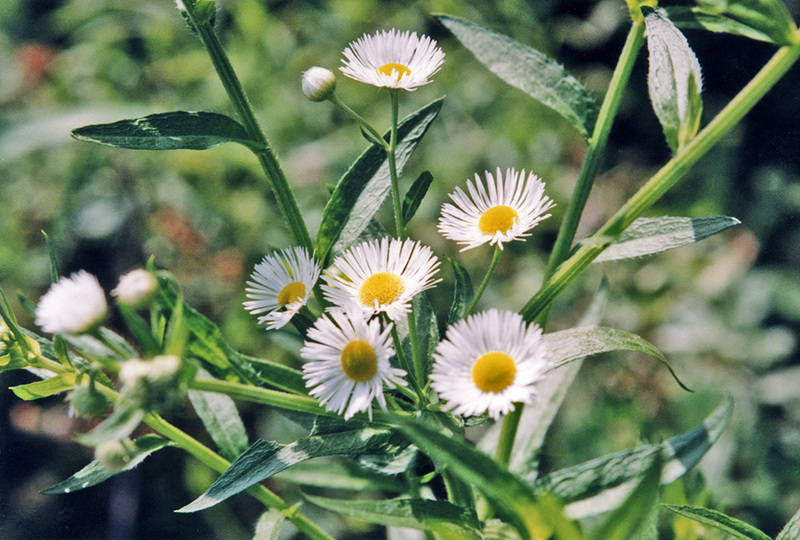 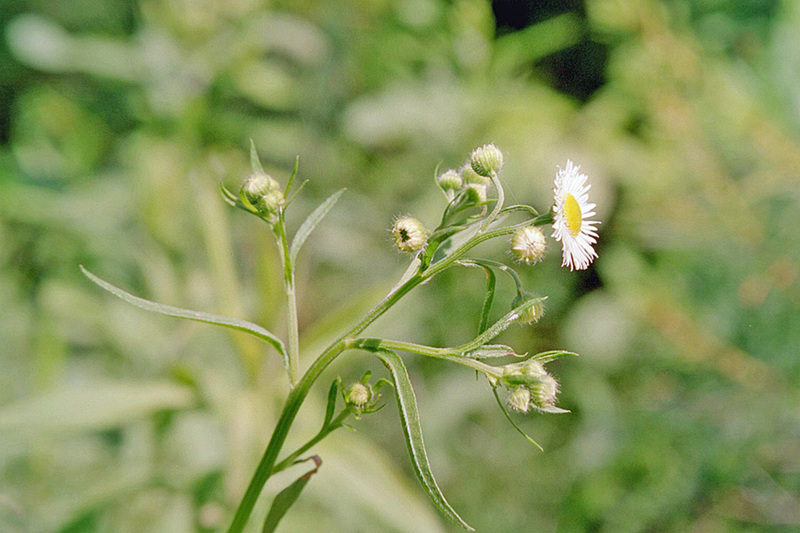 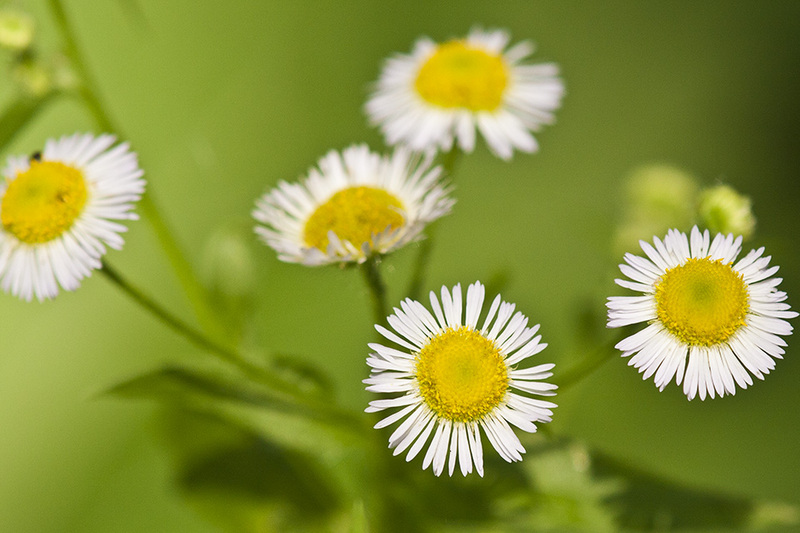 Erigeron annuus (annual fleabane) is a plant in the daisy family, Asteraceae. 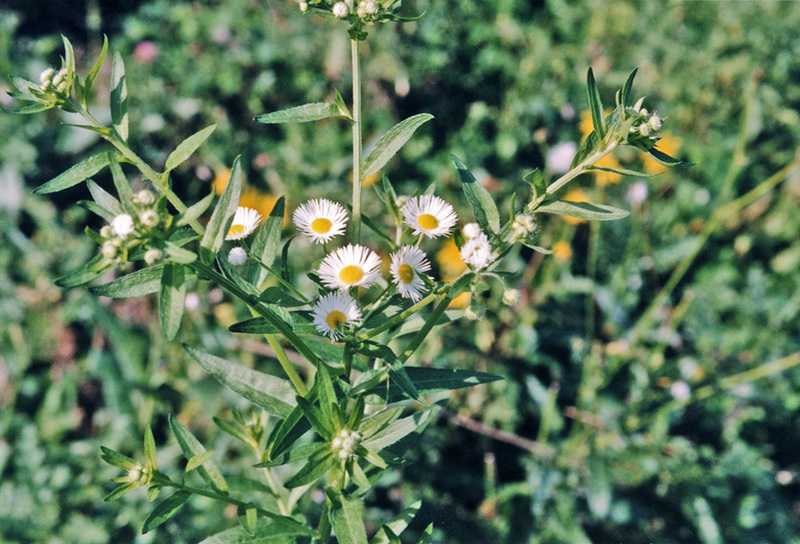 Zomerfijnstraal (Erigeron annuus; synoniem: Phalacroloma annuum) is een eenjarige plant die behoort tot de composietenfamilie (Asteraceae).